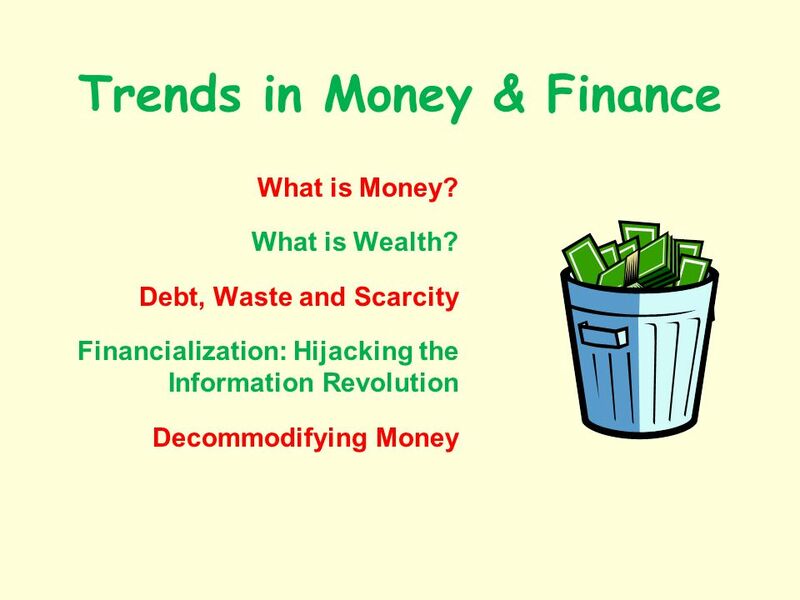 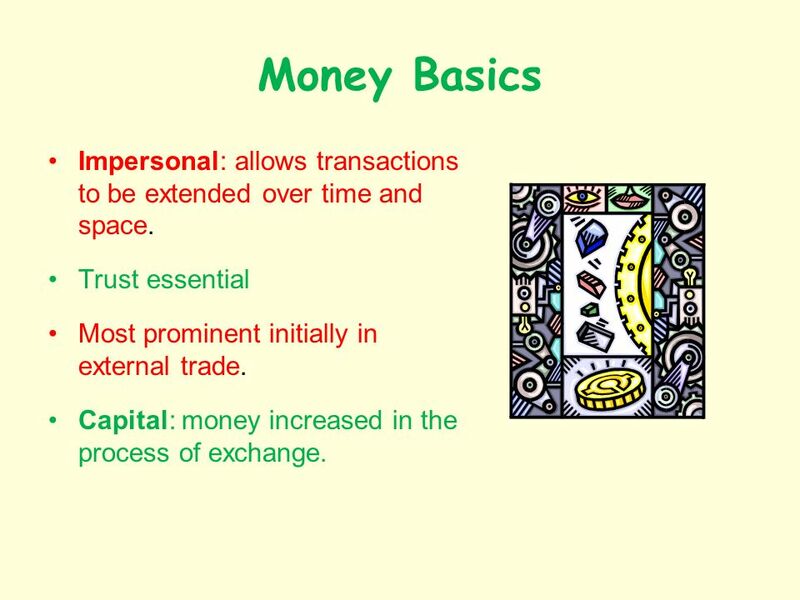 3 Money Basics Impersonal: allows transactions to be extended over time and space. 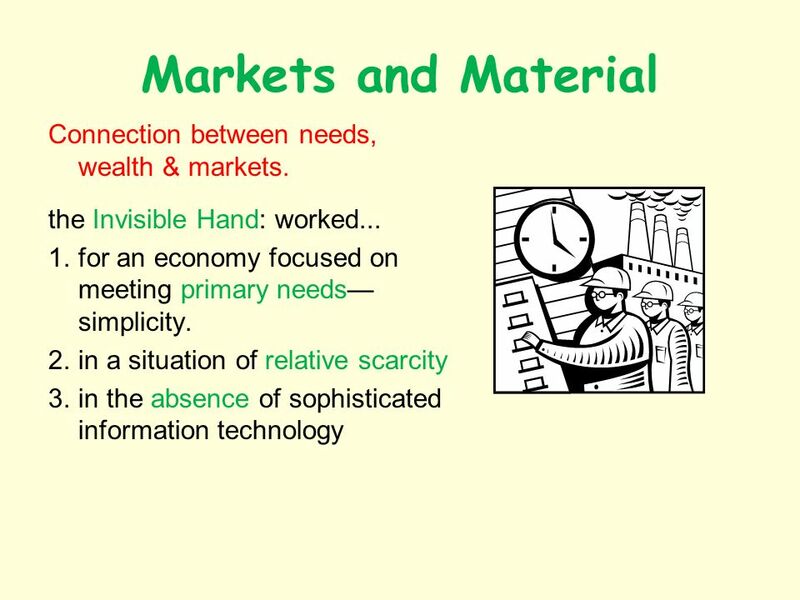 Trust essential Most prominent initially in external trade. 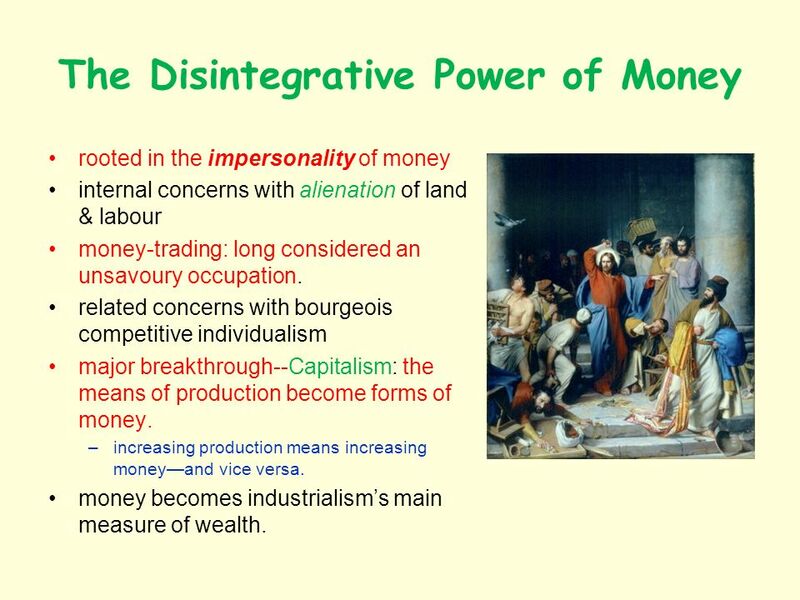 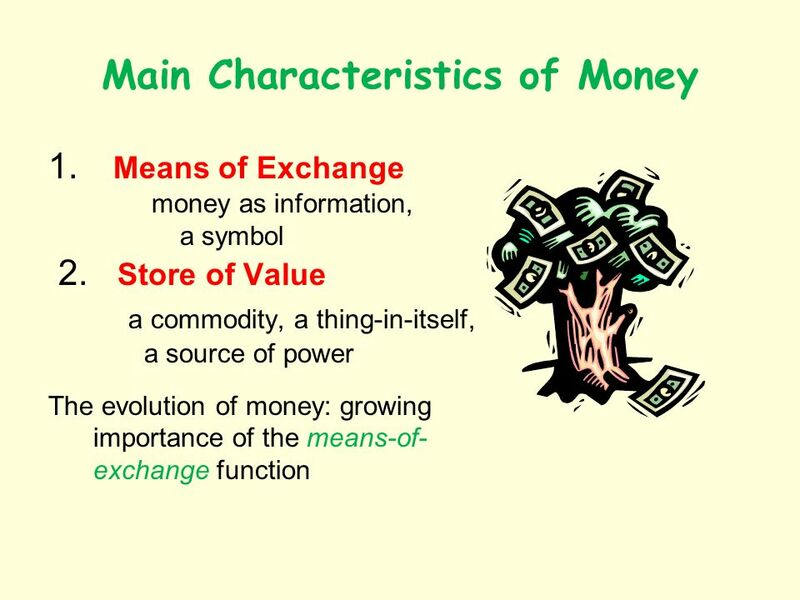 Capital: money increased in the process of exchange. 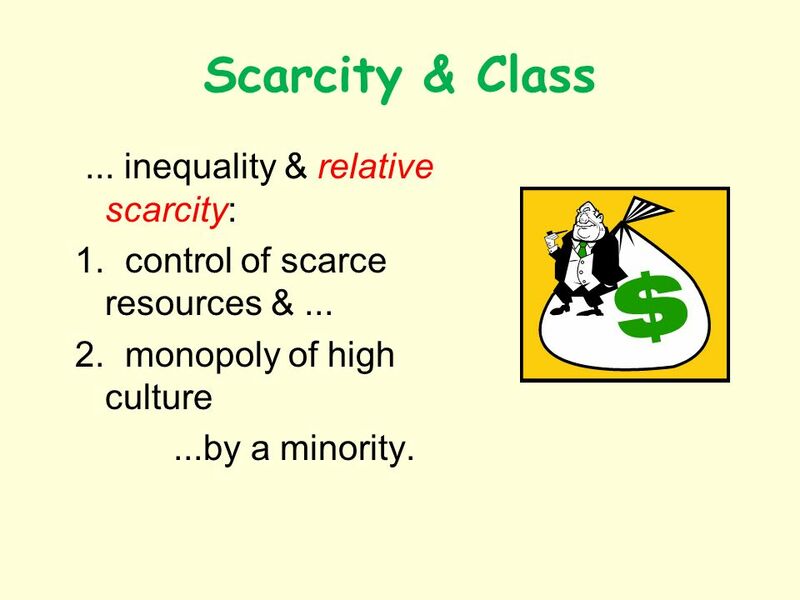 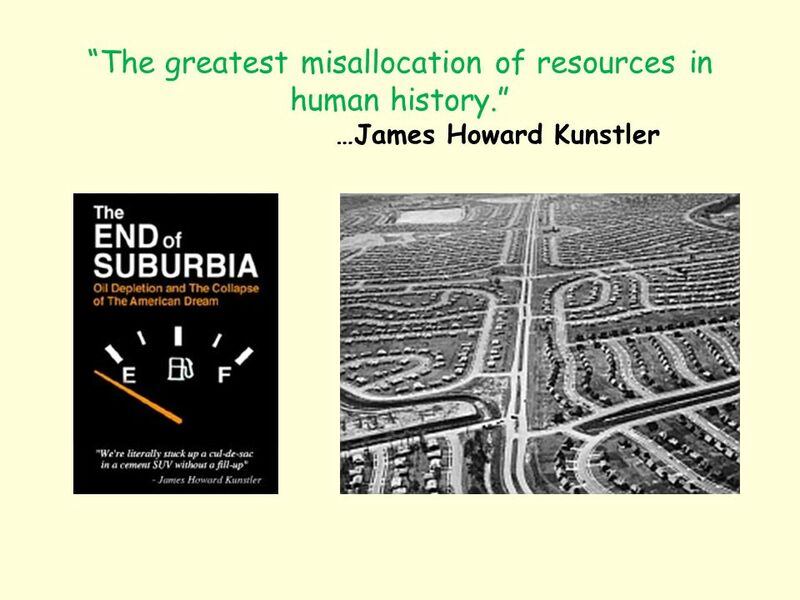 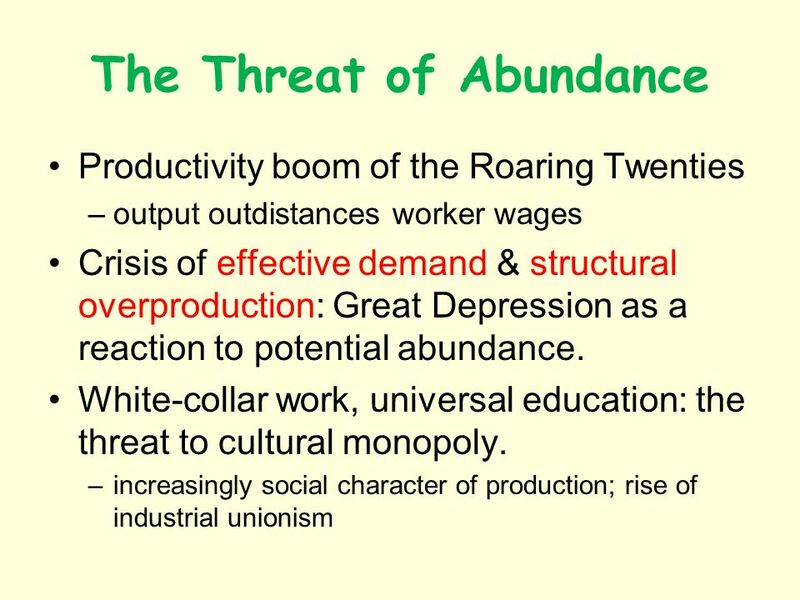 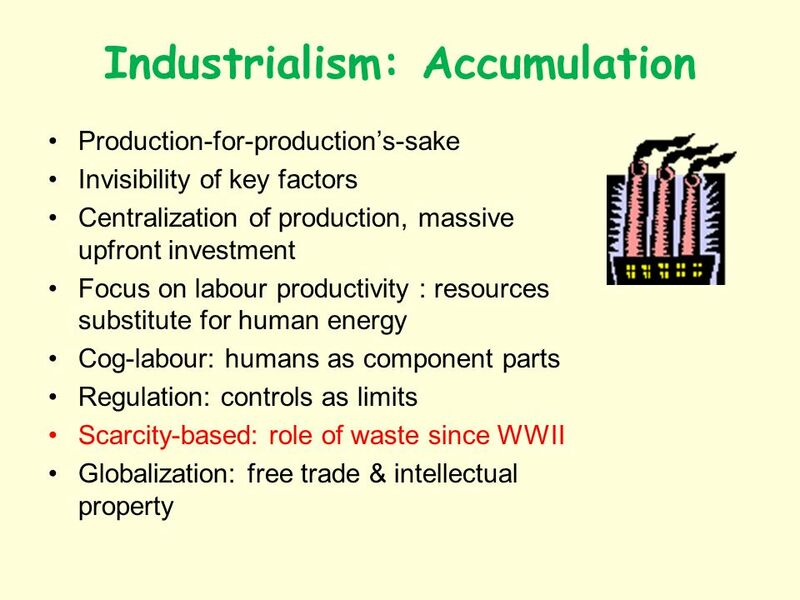 8 Scarcity & Class... inequality & relative scarcity: 1. control of scarce resources &... 2. monopoly of high culture...by a minority. 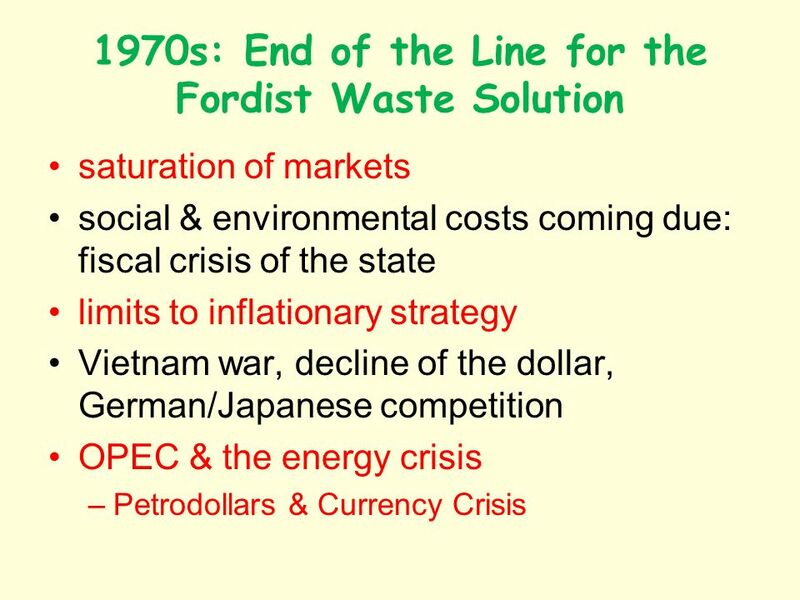 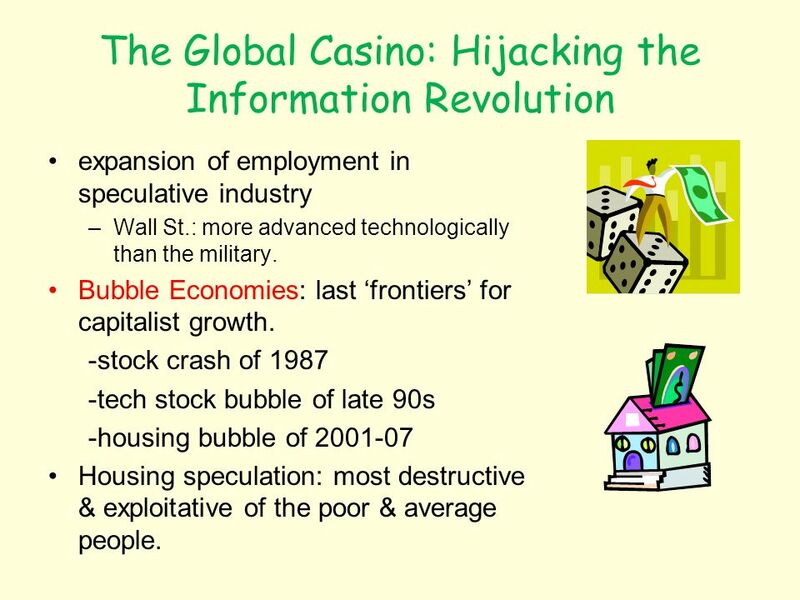 20 The Global Casino: Hijacking the Information Revolution expansion of employment in speculative industry –Wall St.: more advanced technologically than the military. 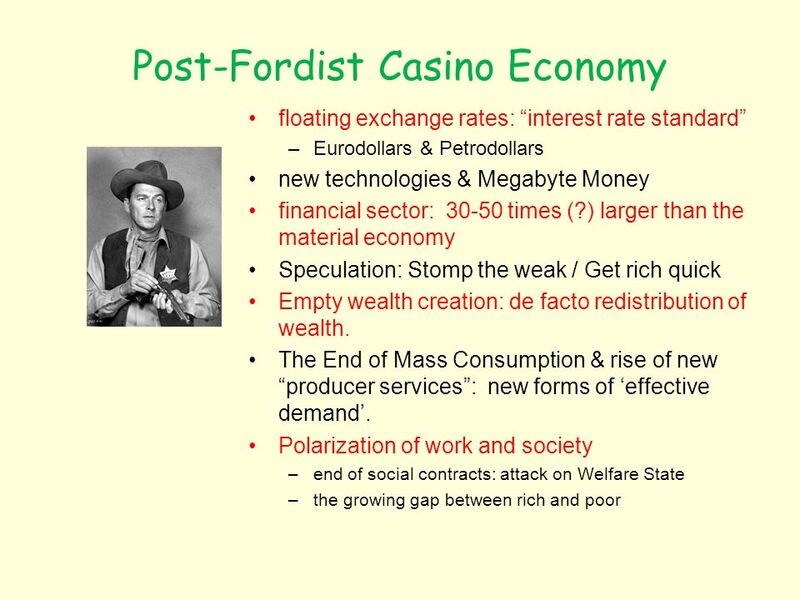 Bubble Economies: last frontiers for capitalist growth. 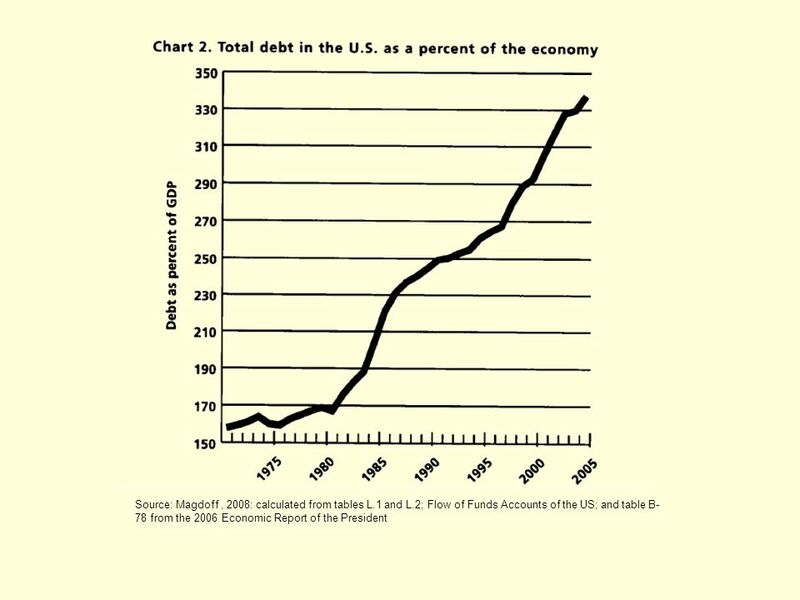 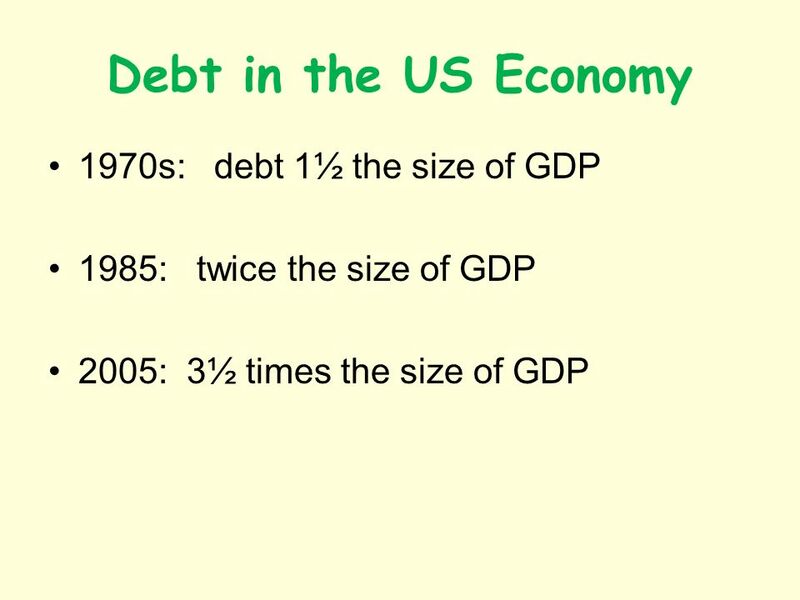 -stock crash of 1987 -tech stock bubble of late 90s -housing bubble of 2001-07 Housing speculation: most destructive & exploitative of the poor & average people. 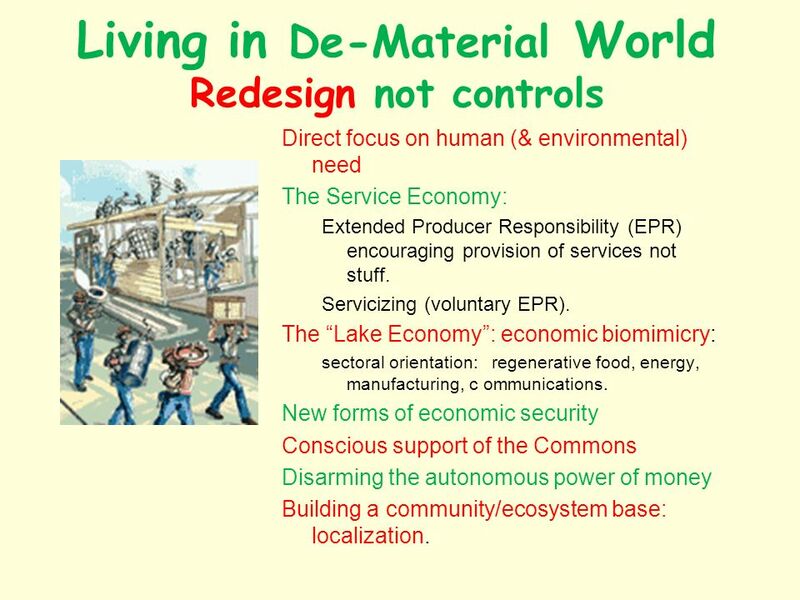 22 Living in De-Material World Redesign not controls Direct focus on human (& environmental) need The Service Economy: Extended Producer Responsibility (EPR) encouraging provision of services not stuff. 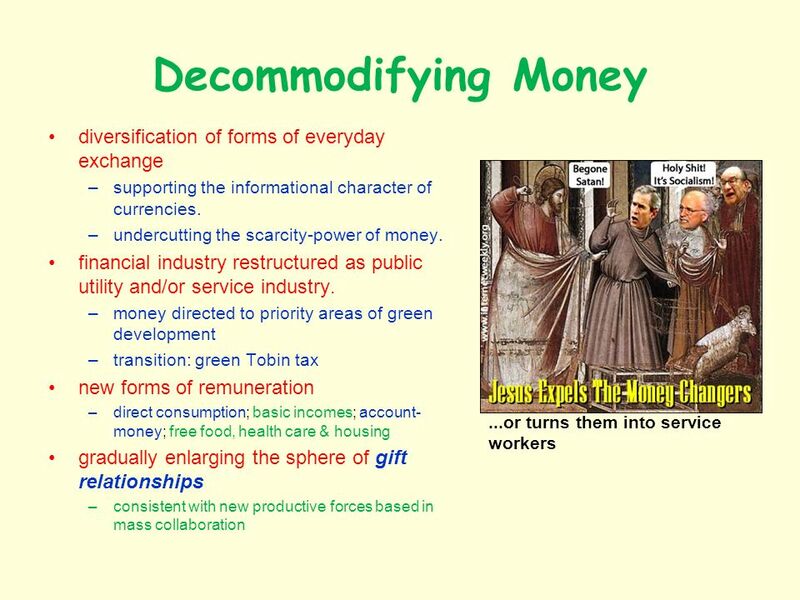 Servicizing (voluntary EPR). 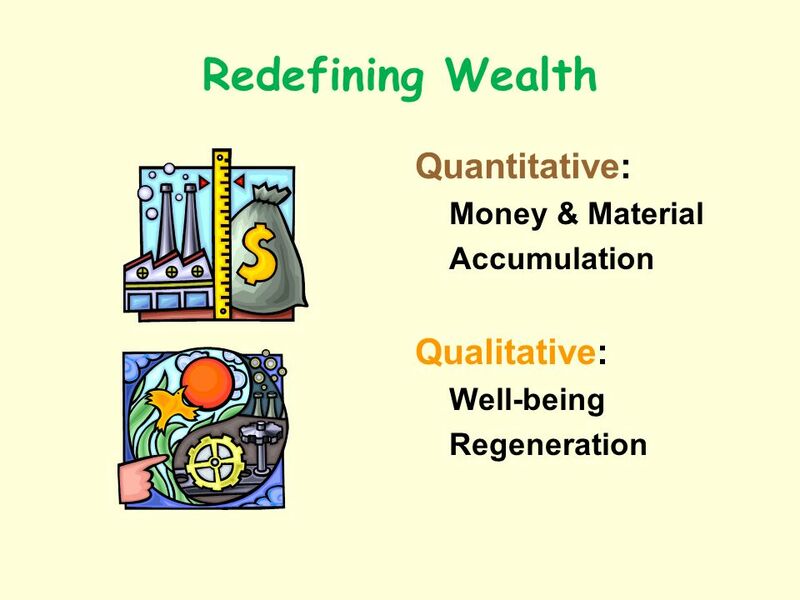 The Lake Economy: economic biomimicry: sectoral orientation: regenerative food, energy, manufacturing, c ommunications. 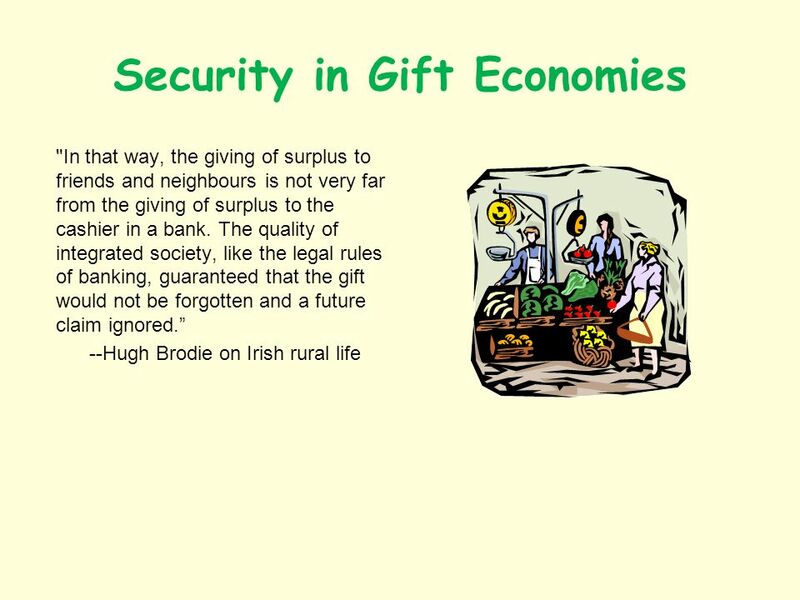 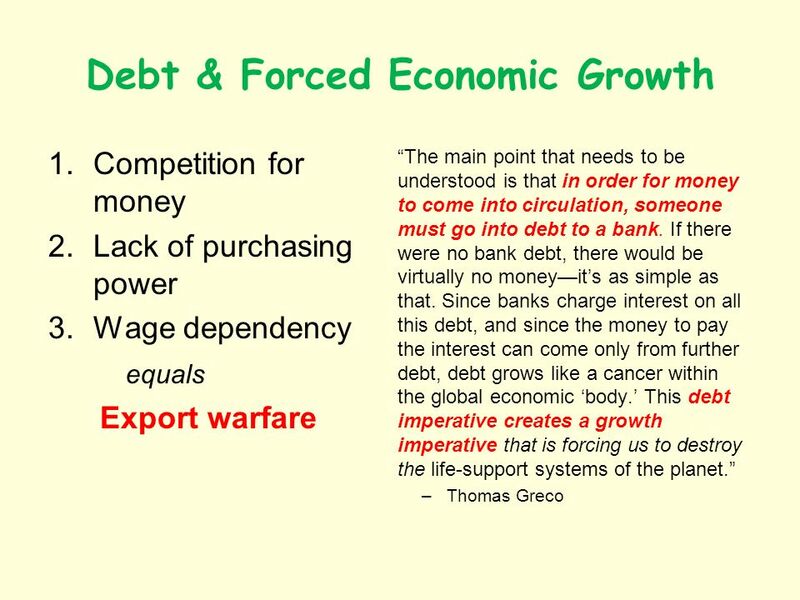 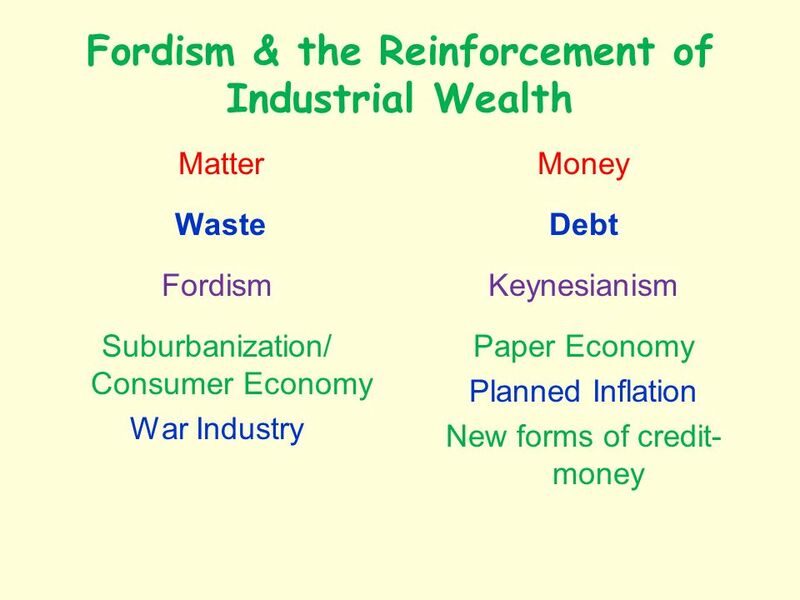 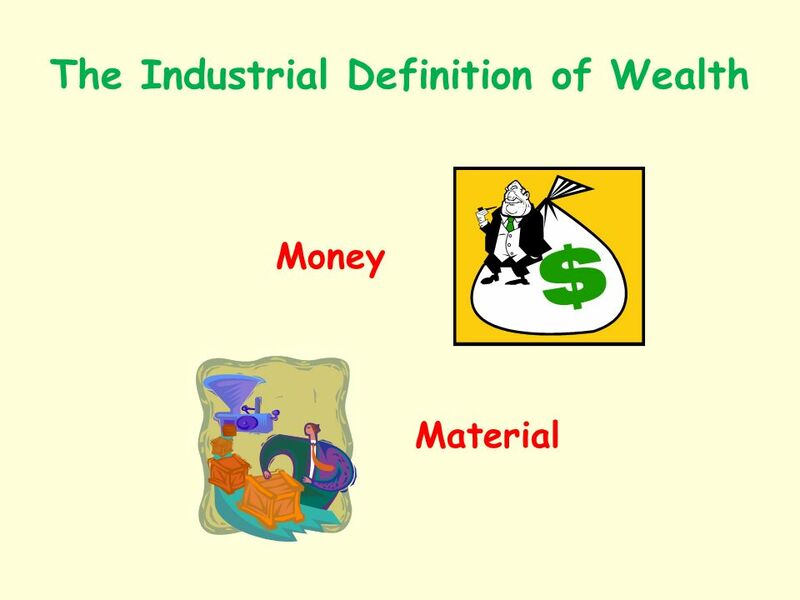 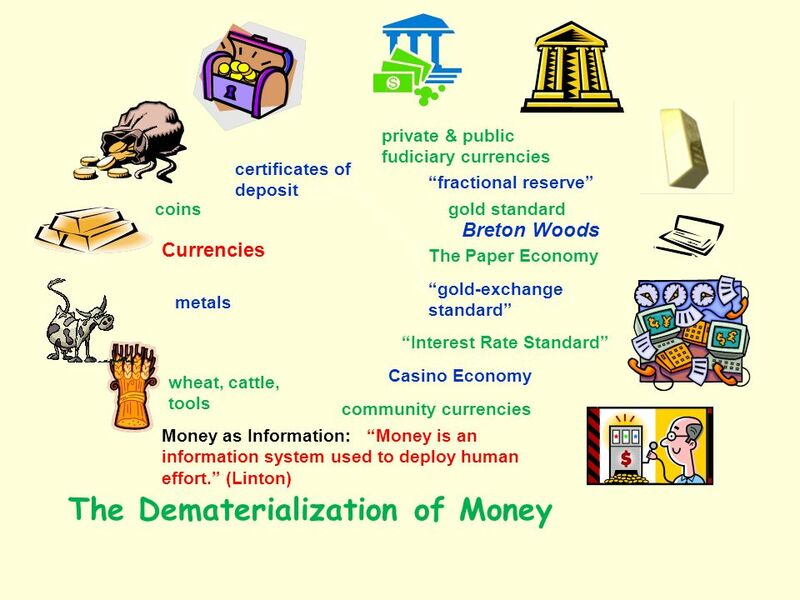 New forms of economic security Conscious support of the Commons Disarming the autonomous power of money Building a community/ecosystem base: localization. 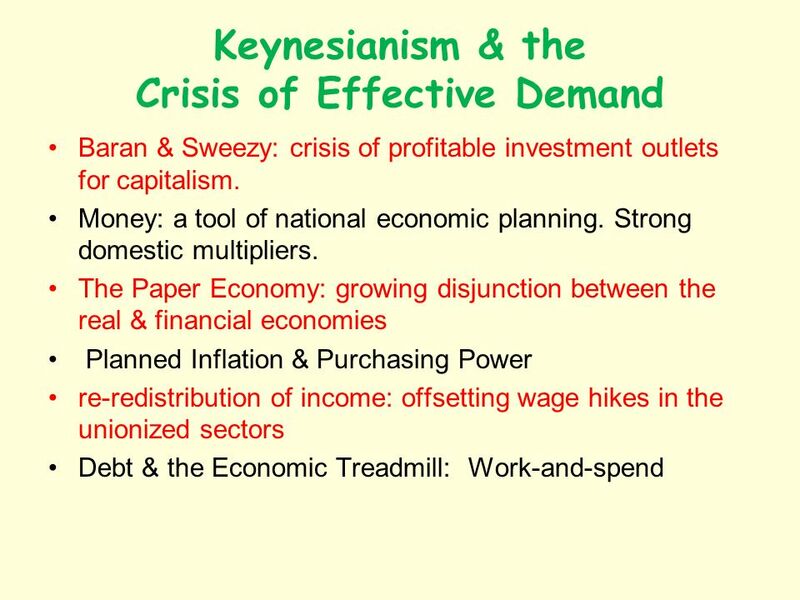 The performance of an economy Economic indicators:  inflation rate  foreign trade  employment  productivity  interest rates  money supply Social.